The Hawaiian Chakra System - Seven main Hawaiian Islands. Seven main body chakras. Energy of each island resonates with a different body chakra. The Hawaiian Islands have been dubbed the Chakra System of the Planet. But, suppose you don’t have the time and/or money for island-hopping? For effective use of your finances and available time, make a list of the chakras, with #1 the most important to #7 the least important. Now, suppose your current practice involves fully opening and developing 3rd eye capabilities. If so, your journey to Hawaii begins on Kauai Island. Something to Remember: A longstanding belief says that if Kauai (or any of the islands in the Hawaiian Chakra System) embraces you, it permits you to remain as long as you desire. However, unless the islands feel you are pure of heart and come with authentic intentions, they will repel you. Hawaii (Big Island) resonates with the Root Chakra. This chakra is accountable for grounding you to the earth during your soul journey. It is believed the spirit world is more palpable here than anywhere else in the world, as the island will rise up to meet you wherever you are on the path. Puako Petroglyph Archaeological Preserve contains more than a thousand petroglyphs, which were carved on lava rocks by the ancients. Kailua-Kona is alive with ancestor energy, as several ancient kings lived there. A statue of King Kamehameha is in the town of Kapaau. Known as Hawaii’s great warrior, he lived in Waipio, the valley of the kings. Waipio Valley is a sacred preservation site. It is here the spiritual traditions of Old Hawaii are orally passed along from one generation to the next. King Kamehameha commissioned construction of Mookini in honor of Ku, the war god. Mookini Heiau State Monument was originally where human sacrifices were implemented in honor of the gods. The Naha Stone is a don’t miss. This two-ton boulder is situated in front of the Hilo Public Library. Legend has it, the person who lifted the stone and turned it over would unite the islands and become ruler. King Kamehameha I purportedly succeeded. Maui vibrates with earth energy of the Sacral Chakra, which is related to our creative energy. This island is rich in oranges, reds and yellows that stimulate creativity, from the awesome cerise sunsets to tropical fruits of many colors. Excepting the Big Island, Maui is the largest of the main islands of Hawaii. Iao Valley State Park is the site of the iconic Iao Needle. Native Hawaiians recognize it as the phallic stone of kanaloa, ocean god. The Iao Needle formerly served as an altar. Pu-u Keka’a aka Black Rock is in the middle of Ka-anapali Beach. Legend has it that after the soul leaves the body, it climbs Pu’u Keka’a and leaps into the spiritual dimension. Lanai resonates with the Solar Plexus Chakra, which is all about self-confidence and personal power. Lanai translates to ‘conquest of the sun’, so that the energy of this island is filled with love and light. This is the smallest of the main islands. Pu’u Pehe aka Sweetheart Rock is where Princess Pehe and Makakehau, a warrior, met their tragic deaths. The princess drowned in a big storm. The warrior buried her on top of Sweetheart Rock and then, scaled the huge rock and flung himself into the sea. It is also the sole island that was never overpowered. Physical force wasn’t used to protect Molokai, it was protected by spiritual power. Shamans have trained there. “Mother Molokai” emits feminine energy. As the ‘heart of Hawaii’, you will feel the love as she embraces you. Oahu represents the Throat Chakra. It is known as ‘the voice of the islands’, which is apropos, as the islanders gather here. Kaneana Cave is a must-see. Legend has it the earth goddess gave birth to mankind in Kaneana Cave. Oahu's Kapaemahu Stones - Also known as wizard stones, Kapaemahu, Kahaloa, Kapuni and Kinohi reportedly hold the mana, or power, of four wizards from Tahiti. Legends say before they went home, the wizards gifted the natives of the four stones, which they had infused with their healing powers. Kauai Island aka the Island of Intuition, resonates with your 3rd Eye Chakra. The oldest Hawaiian island, seekers have long found Kauai an incredibly beautiful and serene place for meditation. Natives call this island Mama Kauai, likely because she exudes feminine energy. True to her intuitive powers, she shows you things about yourself you’ve never known before. It wouldn’t be unusual for Mama Kauai to unveil your spiritual gift (aka true calling). Mystical, yes. Unusual, no. Ni’ihau, aka ‘Forbidden Island”, is privately owned and vibrates at the energy of the Crown Chakra. Kamehameha V. sold the island to Elizabeth Sinclair-Robinson for $10,000 in gold in 1864. The majority of its inhabitants are Robinsons. Imagine a place in this modern world, which technology and time literally forgot. This island is sans hotels, restaurants, stores, cars, paved roads, police, doctors, firemen or indoor plumbing. Formerly, ‘invitation only’, travelers can now visit via helicopter or guided tours. This island's pristine and natural beauty parallels with our crown chakra's vibrant white/violet light. Visit one, visit all. The Hawaiian Islands vibrate at a ‘5th dimensional frequency’, which seems to swallow up your-physical-self. Knowing something is greater than you are triggers a feeling of humbleness and sensation of total awareness. 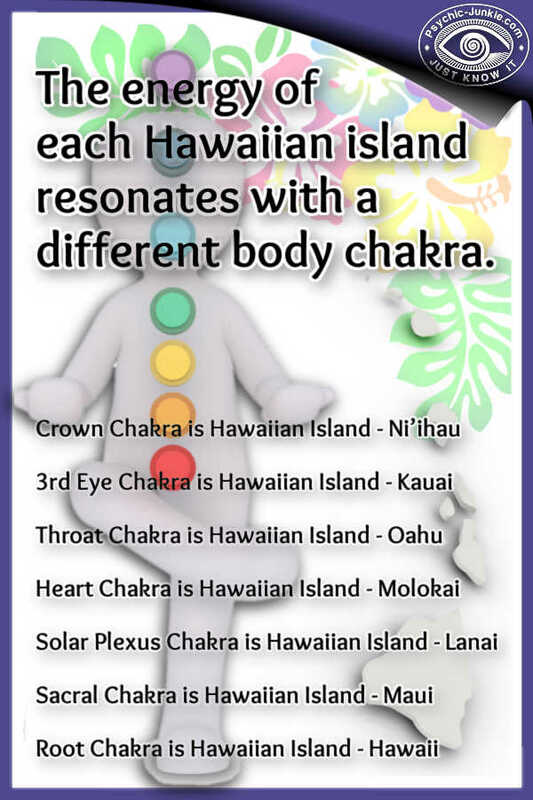 Wherever you are on The Path, The many Islands within the Hawaiian Chakra System will connect with you and serve as your spiritual guide. 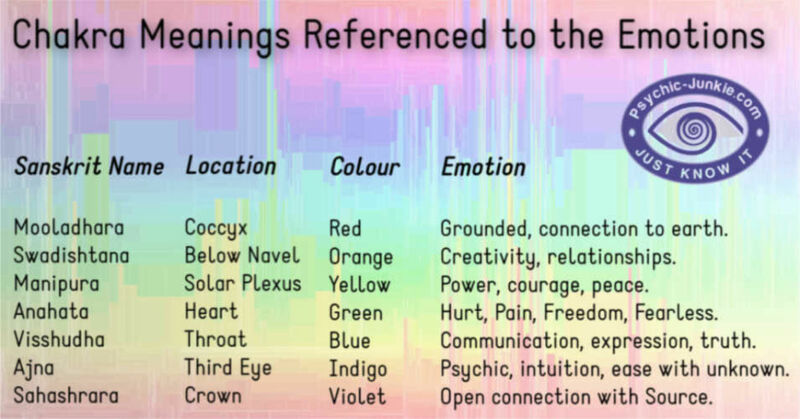 What is a chakra and how do they work? Like a vortex, or energetic whirlpool within the body each chakra will pull energy into you and send it out. Although we may be completely unaware of them, our seven psychic centers can subtly affect our daily lives in some way. Do you have something to share about the Mystical side of islands in the Hawaiian Chakra System? Perhaps you run Vision Quests, or Spiritual Tours in Hawaii? Spiritual enlightenment won’t just come and tap you on the shoulder. You must want IT…seek IT…and embark upon your soul’s journey. 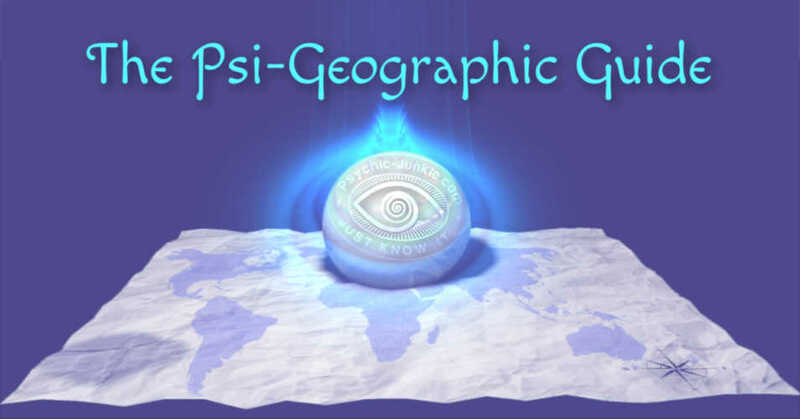 To help you plan your next enlightening holiday I’ve created the Psi-Geographic Guide to the world's metaphysical destinations.